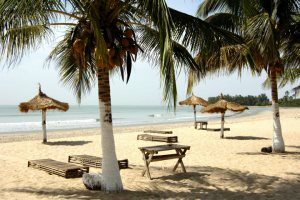 The Gambia is a wonderful beach holiday destination all year round with daily temperature highs ranging between 29°C and 34°C. 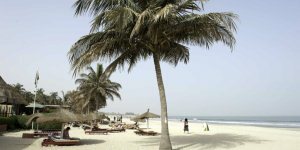 Popular beaches have plenty of beach bars, restaurants and sunloungers and are never overcrowded, even in the height of the season. 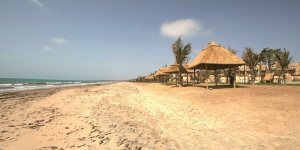 Golden sands line almost the entire coast and whatever the time of year you can easily find a secluded beach without a soul in sight. 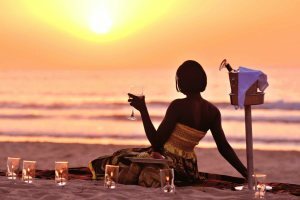 Be it a slow morning stroll through the surf, a midday snooze under a gently swaying palm, or a cold evening drink while the sun sets across the Atlantic, the beach will be your constant companion. 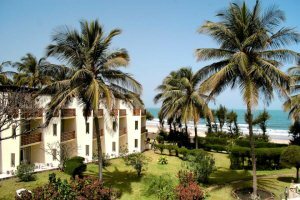 The beach outside the Senegambia and Kairaba hotels is suffering from coastal erosion (due to be replenished during Winter 2017/18) but is still a lovely place to while away an afternoon or take a relaxing stroll. 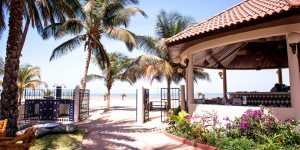 Magnificent broad and long sandy beaches that stretch into the distance, down to the Atlantic Ocean. 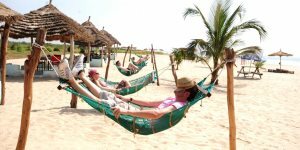 The beach at Brufut is quiet and unspoilt - a real treat with great views along the coast to Bijilo and Kololi. The beach here is deserted and it is possible to walk for miles in either direction with only the odd seabird for company. 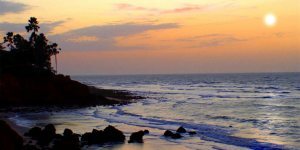 You will find a small beach bar and some of the best sunsets in The Gambia. 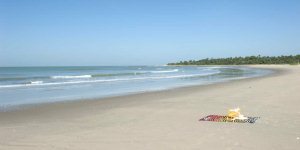 Further south along the Atlantic coast you can be assured of some secluded and deserted beaches. 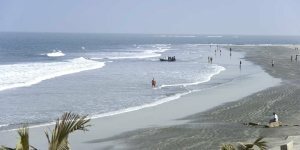 The sand is golden along this stretch, and the region is populated by local fishermen landing their boats. 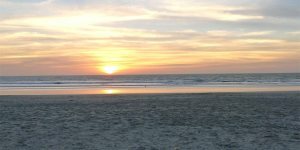 Be sure to find a secluded spot if wearing swimwear to avoid offending the locals.